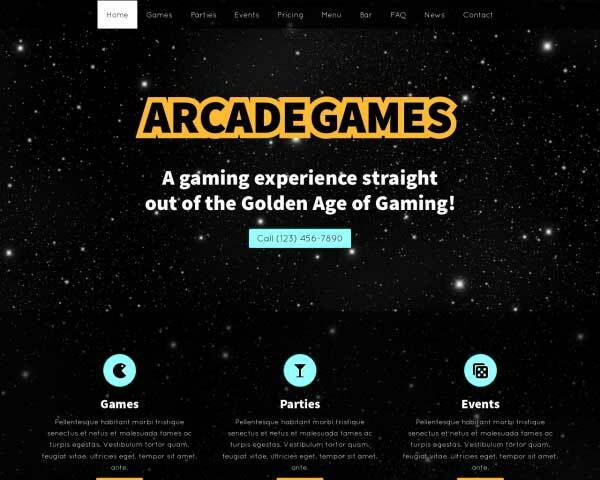 Grow your business with a professional online presence that shows visitors all the fun and excitement of playing at your paintball park or outdoor adventure center. Everything you need is set up and ready for your photos and text! 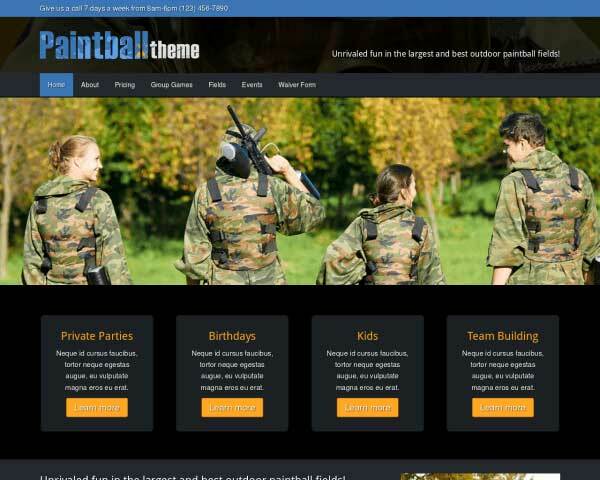 Paintball adventure seekers won't be able to resist planning a visit to your park when you build your website with the Paintball WordPress theme. 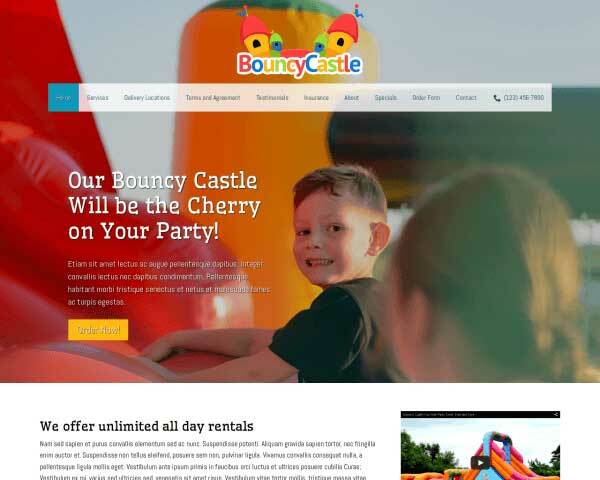 We've designed this premium website template for paintball parks to display dazzling full-page images of your paintball fields together with organized information about group packages, pricing, and answers to frequently asked questions. Pages for each of your fields or terrains are already set up, so all that's left to do is upload your own photos and replace the placeholder text. We've included a blog feature for regular updates of upcoming events, social media integration and a contact page with a convenient Google map and route planner to make it easy for visitors to get in touch and connect with you online and on the playing fields. Our easy-to-use SEO manager provides valuable feedback to improve your search engine rankings, and even mobile visitors will enjoy the same professional look and functionality while viewing your paintball website on any size screen. 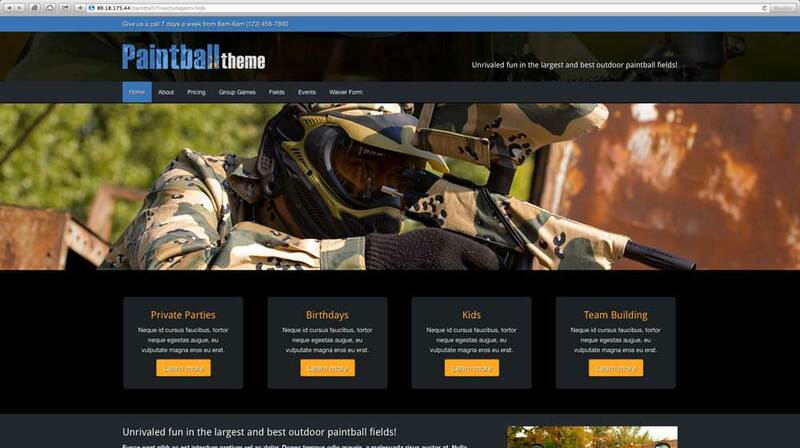 Ideal for use in creating a website for any type of outdoor adventure center, the Paintball WordPress theme helps you build excitement online to get more players on your fields. 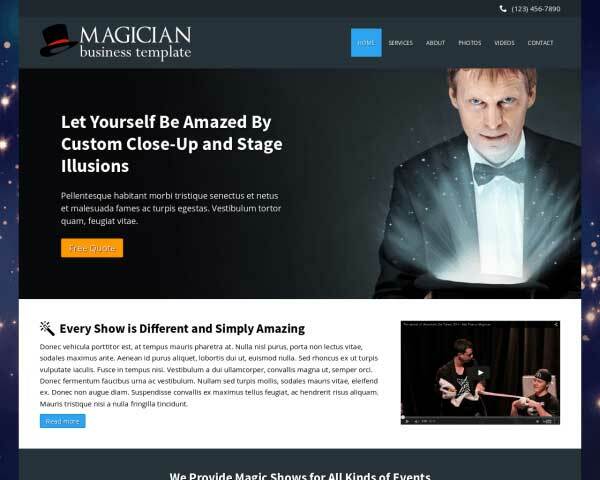 Increase customer expectations with Paintball WordPress Theme which was made specifically for paintball field owners. Highly visible call-to-actions on nearly every page of the Paintball WordPress Theme encourage visitors to contact and makes it easy for them to do it! 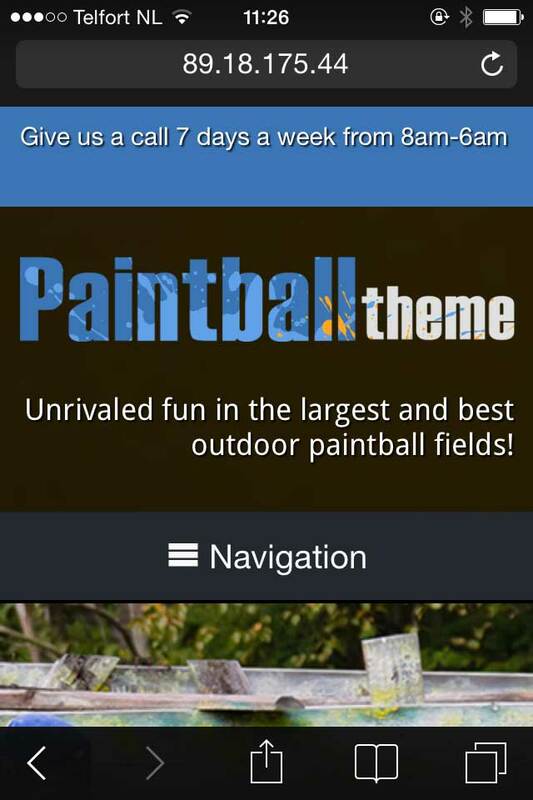 The Paintball WordPress Theme makes it easy for prospective clients to reach you through the Contact page, featuring an integrated Google map and a handy form. 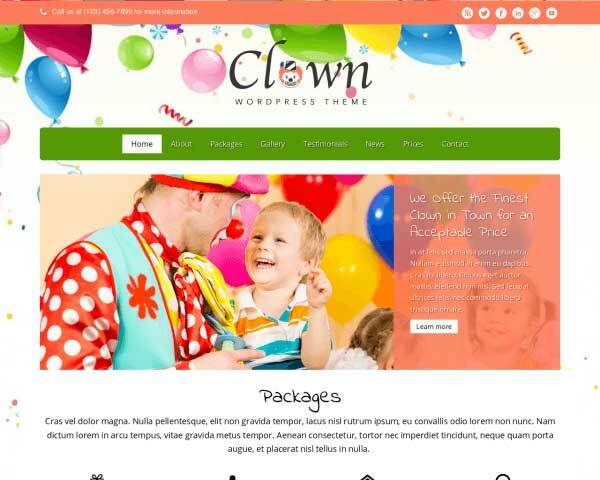 If you want to stand out from the crowd, the top-notch look-and-feel of the Paintball WordPress Theme will prove to be the perfect solution. 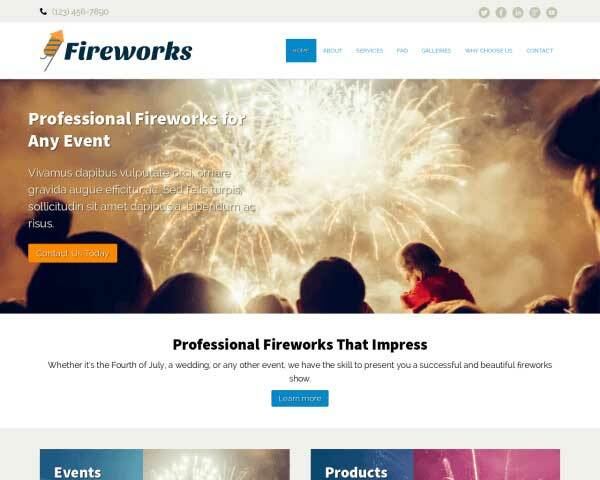 The Paintball WordPress Theme has a dedicated page for the various events your business might host for potential clients. Instead of just using plain text to highlight your FAQ's, we've built in a feature to create very informative FAQ lists. With a clear distinction between question and answer your FAQ's have never looked this great. 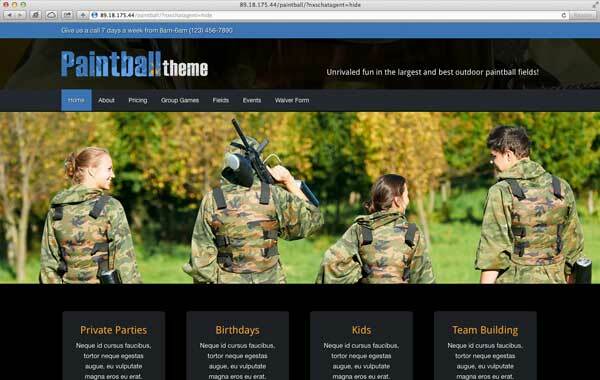 This premium WordPress theme for paintball fields allows you to link buttons or images to PDF pages that visitors can simply click to download and print forms. 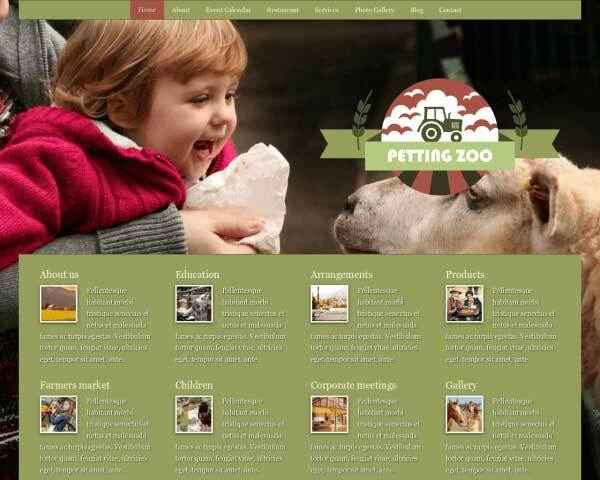 Display your photos in elegant lightbox image galleries with the Paintball WordPress Theme. You can add multi-column photo galleries to any page or post. Give visitors an overview of your paintball park's adventure fields in one glance, allowing for quick navigation to more details about each area. Exercise transparency by displaying pricing with our easy to use rate chart. The Paintball WordPress Theme features a rate chart that is easy to use. 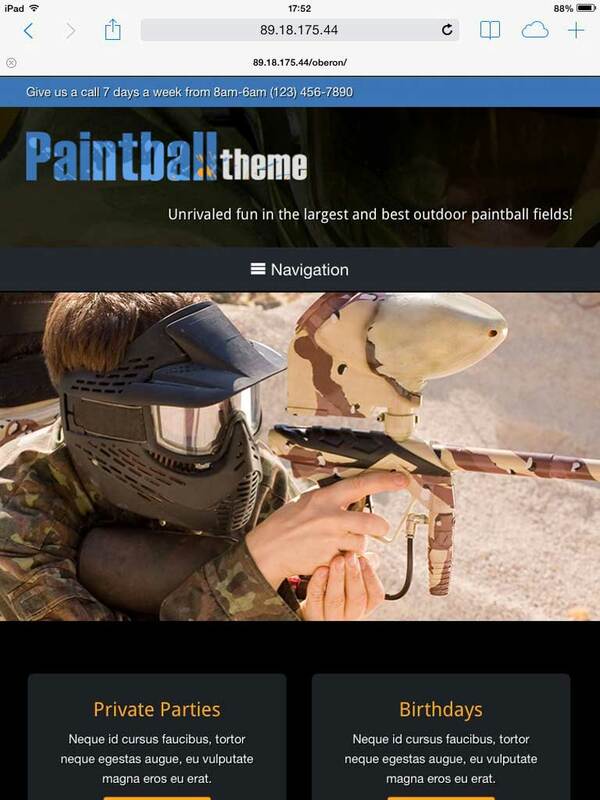 Treat your visitors to a great mobile experience when you build your website with the responsive Paintball WordPress theme. 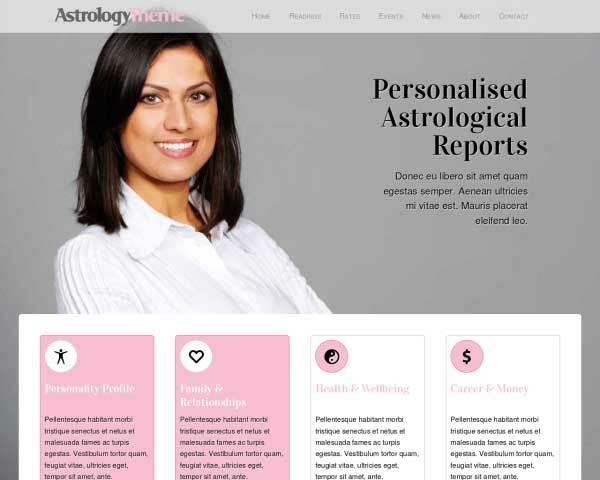 Its mobile-optimized design will automatically adjust the layout of your content to fit any screen size, with no tedious coding or plugins required. With more and more people using smartphones and tablets to search online, you can be sure that visitors accessing the mobile version of your website on handheld devices will enjoy the same professional design, full-page photos and user-friendly navigation of the desktop version.